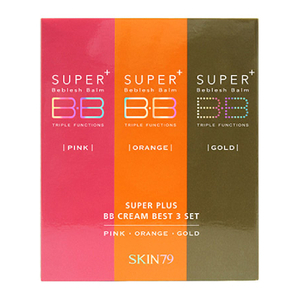 Korean skincare brand, Skin79, have carefully curated a BB cream gift set to help you achieve smoother, brighter, younger-looking skin. 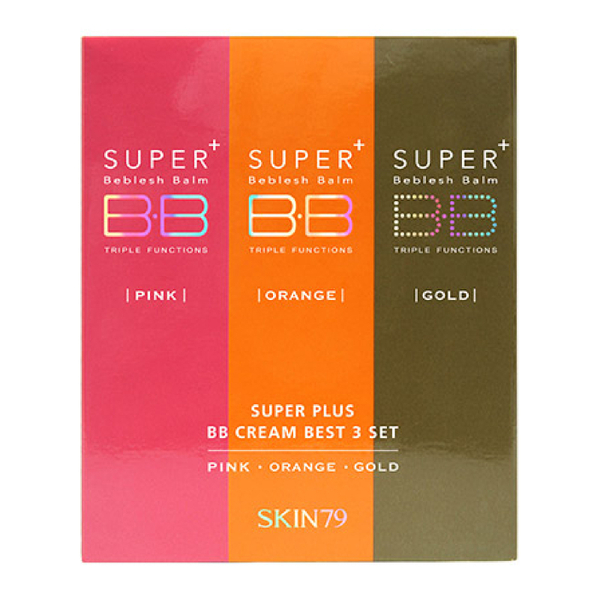 The Super Plus BB Cream Best 3 Set combines a trio of triple action blemish balms that expertly improve the appearance of skin with both natural and full coverage finishes. Expect flawless makeup results. 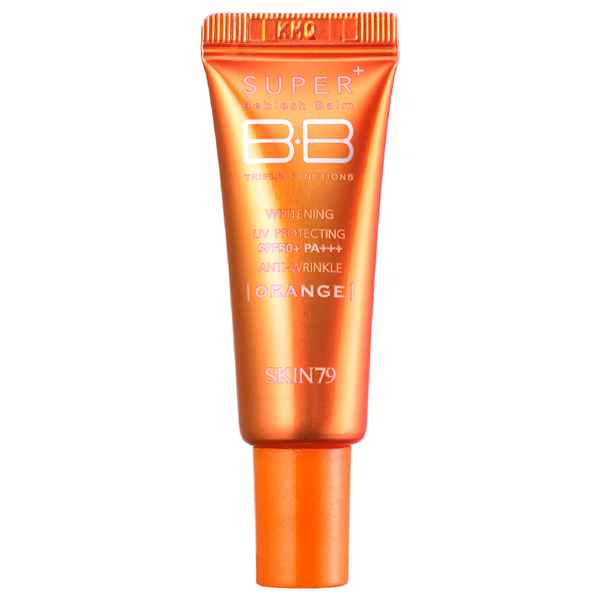 A triple-function BB cream that works to brighten, smoothen and protect the skin. The fresh textured blemish balm delivers a veil of natural coverage; it absorbs effortlessly and infuses skin with vitamin-rich Damask Rose Water and Acerola to brighten and enhance radiance. Its anti-ageing properties help to keep skin looking young, and SPF 30 protects against the sun's damaging UV rays. Skin looks perfected and clarified. 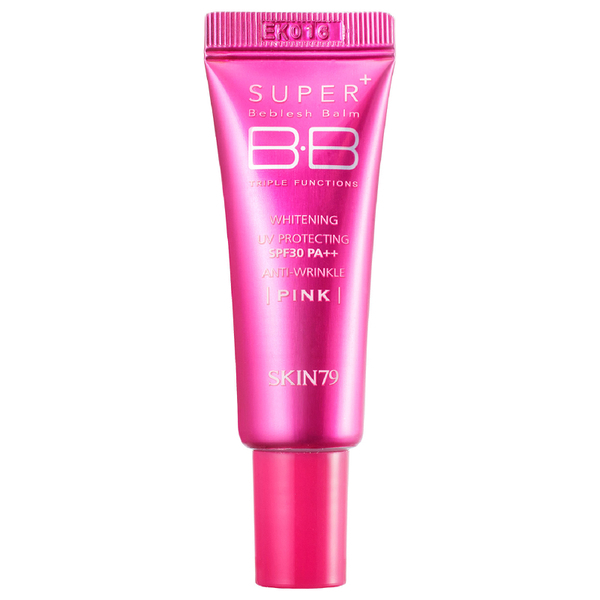 A skin-correcting BB cream that counteracts discolouration and dark spots. The balm functions as a high coverage BB cream, concealing and correcting pigmentation issues. Boasting SPF50, the potent formula offers UVA and UVB protection to prevent any future skin damage, including discolouration. The transparent BB cream is enriched with Phytoshingosine and Ceramide, which combine to strengthen the skin’s protective barrier. Expect a smooth and brightened complexion, visibly free from damage. 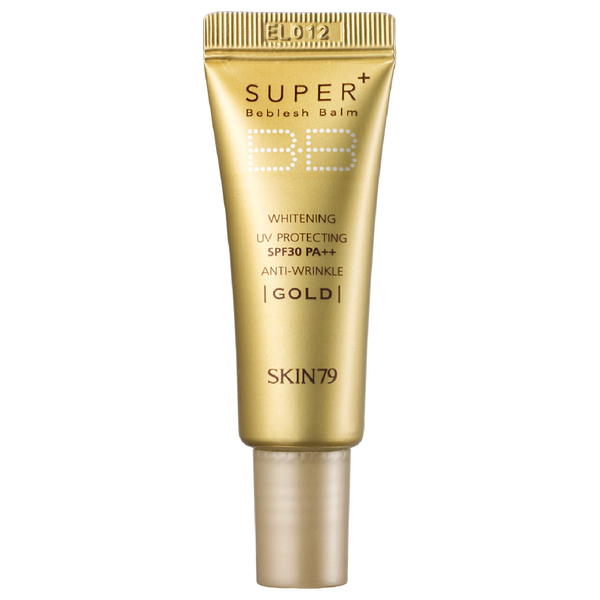 A triple action BB cream that delivers whitening, anti-wrinkle and sun protection properties; it expertly perfects the appearance of skin for a smoother, more even toned makeup look whilst improving elasticity and skin texture with its cocktail of Gold and Caviar. Delivering a hydrating veil of natural coverage, the blemish balm creates a film of protection, infusing skin with moisture whilst keeping it safe from harmful UV rays which can induce premature ageing. It also helps to keep skin clear and prevent future breakouts. Skin looks naturally flawless and perfectly moisturised. After washing hands, pump a pea-sized amount onto the top of your hand. Using a foundation brush or your other hand, apply onto the face. Start with dabbing onto cheeks, forehead, bridge of the nose and chin. Blend out with a tool of choice. Orange: Water, Titanium Dioxide (Cl 77891), Cyclopentasiloxane, Ethylhexyl Methoxycinnamate, Dipropylene Glycol, Cyclohexasiloxane, Phenyl Trimethicone, Zinc Oxide (Cl 77947), Dicaprylyl Carbonate, Cetyl Peg/PPG-10/1 Dimethicone, Arbutin, Sodium Chloride, Methl Methacrylate Crosspolymer, Glycerin, Portulaca Oleracea Extract, Centella Asiatica Extract, Saussurea Involucrata Extract, Morus Alba Bark Extract, Vitex Agnus Castus Extract, Rosa Canina Fruit Extract, Hordeum Vulgare Extract, Aloe Barbadensis Leaf Extract, Camellia Sinensis Leaf Extract, Cornus Officinalis Fruit Extract, Glycyrrhiza Glabra (Licorice) Root Extract, Chamomilla Recutita (Matricaria) Flower Extract, Pinus Sylvestris Bud Extract, Pinus Sklvestris Cone Extract, Avena Sativa (Oat) Kernel Extract, Cirtus Medica Limonum (Lemon) Fruit Extract, Rosmarinus Officinalis (Rosemary) Leaf Extract, Equisetum Arvense Extract, Citrus Grandis (Grapefruit) Peel Extract, Caviar Extract Thermus Thermophillus Ferment, Humulus Lupulus (Hops) Extract, Glycine Soja (Soybean) Oil, Helianthus Annuus (Sunflower) Seed Oil, Rosemarinus Officinalis (Rosemary) Leaf Oil, Bertholletia Excelsa Seed Oil, Oryza Sativa (Rice) Bean Oil, Argania Spinosa Kernel Oil, Isoamyl P-Methoxycinnamate, Polyglyceryl-4 Isostearate, Hexyl Laurate, Sorbitan Isostearate, Disteardimonium Hectorite, Dimethicone, Cetyl Dimethicone, Aluminum Hydroxide, Stearic Acid Trihydroxystearin, Triethoxycaprylylsilane, Isopropyl Myristate, Dimethicone/Vinyl Dimethicone Corsspolymer, Butylene Glycol, Vinyl Dimethicone/Methicone Silsesquioxane Cosspolymer, Tocopheryl Acetate, Ascorbyl Tatraisopalmitate, Propylene Glycol, Alcohol, Ceramide 3, Caprylic/Carpic Triglyceride, Dehydroacetic Acid, Squalane, Ascorbic Acid Polypeptide, Ubiquinone, Trehalose, Hydrogenated Lecithin, Hydrolyzed Collagen, Ethylhexyl Palmitate, Tribehenin, Palmitoyl Oligopeptide, Phytosphinegosine, Lecithin, Retinol, Linoleic Acid, Cyclodextrin, Tocopherol, Adenosine, Disodium Edta, Methlparaben, Chlorphenesin, Propylparaben, Fragrance (Parfum), Iron Oxides (Cl77492), Iron Oxides (Cl77491), Iron Oxides (Cl 77499).